Want to become a coach or looking to develop your coaching skills? At Badminton Wales we are strongly committed to supporting new and current coaches to become the best they can be. Find out more about our coaching pathway, courses and much more below. Members of the Coaches Register are insured and licensed by Badminton Wales to carry out coaching activities within the parameters of the award they have gained. Acceptance onto the Coaches Register is subject to the satisfactory completion of a Disclosure & Barring Services (DBS) check. Coaches are also expected to agree to and abide by the Badminton Wales Code of Ethics & Behaviours and Child Protection Policy. These documents together with further details about safeguarding children including DBS checks can be found in the Safeguarding & Child Protection section. To join the coaches register please create an account on the new Badminton Wales membership system. Once you have an account you will be able to add a coaching membership and complete the online application process. For more information on how to access the membership system please go to the membership page here. As part of our commitment to safeguarding in sport Badminton Wales now uses the Welsh Sports Association's (WSA) DBS Checking service to provide online criminal records checks. As part of this process, coaches will be automatically added to the DBS Update Service when they apply for a DBS check. As a result, individuals no longer have to apply for a new DBS check each time they apply for a position. Instead, they now only have to apply once to the Disclosure and Barring Service for a certificate and then go online for an instant check to find out if the existing certificate is still up to date. The updating service also allows organisations to check online whether new information has been added to the certificate since it was issued. This means that individuals need to have only one certificate to cover activities across multiple organisations as long as it relates to working with the same vulnerable group. Badminton Wales is currently in the process of planning the migration from our current Coach Education providers UKCC to the Badminton World Federation (BWF) Coach Education Programme. We are registering interest for our BWF Level 1 Course which is due to commence in March 2019, following a successful pilot course held in October 2018. We are confident that the migration to BWF will enable Badminton Wales to provide a comprehensive Coach Education Programme. 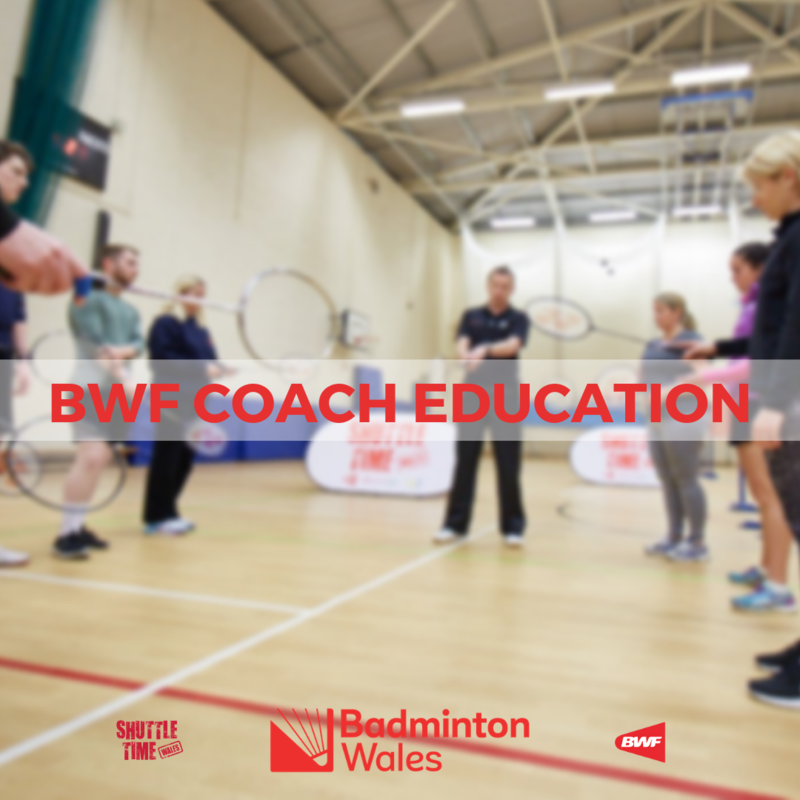 BWF, in partnership with Badminton Wales, is committed to ongoing support for the development of our current and future coaches across Wales. Badminton Wales will be aiming to hold a set number of courses per year at centralised locations in North and South Wales. Further information regarding dates, course costs and validity of current UKCC qualifications will follow in the near future. More information about the BWF Coach Education Programme can be found here.